Creative Mountain Games: The Friday Grab Bag - Imagination, Partners, & Take That! The Friday Grab Bag - Imagination, Partners, & Take That! 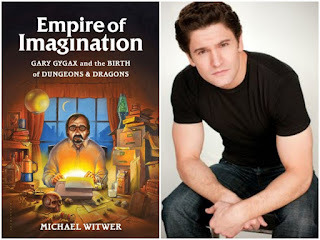 Over on legionofleia.com, they interview "Michael Witwer On ‘Empire of Imagination: Gary Gygax and the Birth of Dungeons and Dragons’" here. Also, on notsoboardgaming.com, they suggest the "Top 10 Games to Play with Your Partner" here. Finally, on The Dice Tower YouTube channel, "Tom Vasel, Sam Healey, and Zee Garcia discuss their favorite games with a mean vein of 'take that!' gameplay!" Enjoy!